Having worked in the industry for many years now, the same patterns are seen every summer. Essentially, exclusives are very often conjured by websites and blogs who want to appear like they’ve got inside information, but are actually just making educated guesses and trying to join dots. Last night, we wrote a piece that suggested if Juventus are buying Cristiano Ronaldo and selling Paulo Dybala, as Tancredi Palmeri says below, we’d be mad not to ask about the sublime Argentine. It was made clear we had no inside knowledge of a prospective deal, but as fans, we think it makes sense. 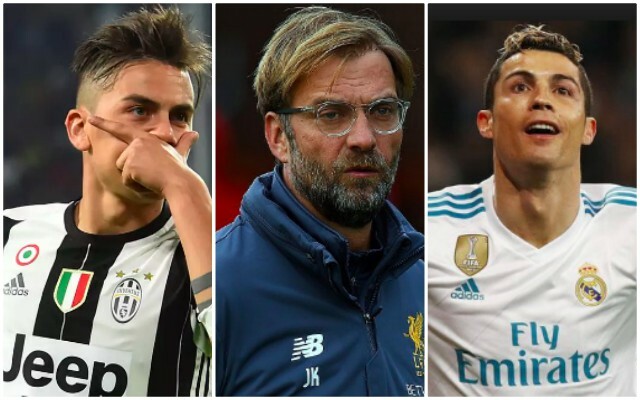 The article got a lot of traction due to many Liverpool fans feeling the same way, but a few hours later, Tuttomercatoweb, an Italian outlet with shocking reliability, claimed ‘exclusively’ that we’d actually made an enquiry about Dybala! We are convinced that their claim was borne entirely from our opinion piece – but the English media then ran with it. Sadly, we wouldn’t be surprised if James Pearce came out and squashed this rumour imminently! Obviously we’d absolutely love Dybala at Anfield, but as of yet, there’s no word we remotely trust to suggest we’re in for him as a Nabil Fekir alternative. Even if it does turn out we have an interest, we’re 99% certain TMW’s ‘exclusive’ was an educated guess based on EOTK’s opinion article – it happens all the time. But has that stopped us getting excited about the potential deal? !